Earlier today, I reviewed the new book from The Motley Fool, Million Dollar Portfolio. I had the pleasure to interview author David Gardner at the end of December. This post contains excerpts from that interview. The complete interview will be included as part of the hypothetical future Get Rich Slowly podcast. Earlier this year, you met with Stephen Popick, a government economist who writes for Get Rich Slowly. During the first part of your interview, you talked about teaching children about personal finance and investing. You talked about a long-term version of the stock-market game. I like the idea of a stock-market game, and I've had some people ask me about similar things. They want to know if there are similar tools or methods for adults who want to learn about investing without risking their capital just yet. First of all, I enjoyed meeting Stephen a lot. He's a very nice guy. I think at the time, he and I were talking about CAPS and about what we're doing on our site with that, and that's what's coming to mind as you ask me the question. I think the purpose of a site like CAPS is to enable people to score themselves. You know, to actually step up and instead of at a cocktail party saying “I think CROX is going down!”, if you think CROX is going down, type it in. Put it right into this transparent open platform where you thought CROX at this date at this price was going to lose to the stock market. And that's what CAPS does. The way I sometimes describe it is that it's like one big stadium. All the world's invited to sit, all the world's invited to play right out on the field. Anything you do on the field, the whole world will see and will always know about from here on. I was wondering if you could elaborate on this. What's the relationship between mutual fund investing and investing in individual stocks? At Get Rich Slowly, as I've been learning about investing, I've stuck pretty close with index funds. But I'm wondering if you can talk about the relationship between mutual fund investing, or index fund investing, and investing in individual stocks. When do you make the transition from one to the other? Do you do both at the same time? That's an excellent question. In fact, it's really the question that each of us has to ask ourselves. Part of what we're trying to do with the book is to show people that there are multiple ways to invest successfully. Factor number one is the degree of involvement that you want. If you're going to spend no time at it, you're going to want to invest much differently than if you're going to spend all your time at it. Obviously most of us are somewhere in between. The second thing that's really important is something to do with your temperament or your mentality. It's one part risk-reward — how much are you willing to take in both cases — and another part your intellectual curiosity (or lack thereof) — understanding how best to suit your investments to your own mind. Number three is making sure your money is aligned with your own passions and interests. An analogy I've used a lot is that if and see the books on your shelf, I feel like I know you. I can say, “Okay, that's what J.D. reads,” and I can probably make some guesses about who he is and what he's interested in. I should have the exact same experience if I picked up your brokerage statement or if I saw your overall financial plan. Number one is about your time, number two is about your psychology, and number three is about you, and making sure that your investment portfolio gives me a clear read on you. Say you're an average investor. You have a 401(k) through work and then a Roth IRA on the side that you manage yourself. I want to know how you go about investing in individual stocks in a way that makes sense. I guess what I mean is, I think the book recommends 12 stocks and it also recommends 30 stocks for a diversified portfolio, but if you only have $5,000 a year for your Roth IRA, how do you approach this, especially so that transaction fees don't chew away your capital? If I had $5,000, the first thing I would do is I would probably make five $1,000 investments. With one of those thousands, I would definitely buy an index fund. I would start right there. We love the index fund. As much time as we spend talking about stocks, we tried to champion an index fund for 15+ years. In fact, we had Jack Bogle in our office just ten days ago talking to our employees. We've become good friends with Jack over the years. We have a huge degree of affinity and for the index fund. Where we part with Jack is that we think of that as the benchmark. That's the “you didn't have to spend any time, you didn't have to apply any brainpower, you just basically went autopilot”. The funny irony of that — as you well know — is that autopilot beats most of the other pilots out there most years. We think, “Hey! I can beat the autopilot.” […] We feel as if — and I think our public record proves this — that we can beat the market. It's not about never having any losers, and it's certainly not about always beating the market every year. It's about not paying anybody a management fee, and over time doing better than all those who are. But you do have to put some time into this. If you're going to try to beat Jack Bogle, you're not going to do it by hiring somebody else to do it for you. You're going to probably have to roll up your sleeves and learn over time. You're going to have to bloody your nose a bunch of times, you're always going to be humiliated by years like 2008, no matter who you are. You have to be willing to be that way. A little bit of a blustery answer there. Yeah, so that was my whole key into the $5,000. I would take the other $4,000 and buy four different stocks. But the one thing I worry about is that each time you purchase a stock, you're paying $20 or whatever it is, so you're sacrificing something right away. Actually, you can pay no dollars for it, pretty much. Or let's just say five bucks. I guess Sharebuilder can do that. Yeah, and have you looked at Zecco at all? I haven't actually used it, but I've looked at it a little bit. Well, there are some funny crazy models that can reduce your costs to almost zero. You can definitely pay less than ten bucks. In other words, if you were looking at a $1,000 investment, you're paying less than 1% for your transaction in. So as long as you're holding it and not churning your stocks, you're keeping your costs low. Yeah, that is certainly true, and that's something we've advocated. So, if you're trying to answer that $5,000 question, I would take four stocks…and I would make sure they were from four different industries. I would pick companies that I'm personally motivated to follow, that I'm energized to learn more about, not something somebody told me about that's somebody else's industry I have no interest in. That's not the only way to answer that question. It's also not the only way to invest. That's just the “get started” approach, where you're actually going to be able to earn more money over time. I've been reading Roger Lowenstein's biography of Warren Buffett. As I'm reading that, I'm just shocked at how over and over again the market will go through down periods like the early seventies or the late eighties. 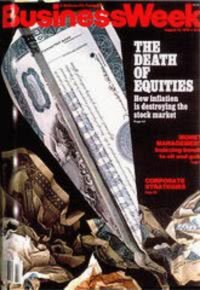 Again and again people proclaim “the death of equities” and how the stock market is no longer the place to be. But Warren Buffett is waiting there patiently. As people are saying that, he's being greedy when others are fearful. I don't think the stock market is so much a thing to ultimately believe in or not. I just think of it as an opportunity to become a part owner of companies. I think capitalism works. That's one of my basic beliefs. And as long as capitalism is being practiced effectively by a culture (or by the world), there will always be good stocks. Therefor it's always worth paying attention. But you don't actually have to think in stock market terms. “The stock market” as a label is too broad. It's too broad a brush to paint. I don't really think about “the stock market”. I think about my individual stocks. Some of them do better than the market; some of them do worse. In the end what you're doing is becoming a part owner of things. And as long as you believe in ownership and capitalism in that sense, why wouldn't you have a life-long love affair with the stock market? Or at least realize that it's a really interesting place to learn? Even if you didn't invest, if you're in business, or really in our culture and you're trying to make good decisions about either the company you work for or if you're trying to guess trends or anything like that, you absolutely want to become a student of the game of business. That's really all the stock market does. It scores and tallies what's happening in the game of business over time. I don't quite understand somebody if they were to say to me, “I don't even look at the stock market” or “You're either in it or you're not”. My opinion doesn't change. The one way that I can say I'm Buffett-like is that my opinion of the purpose of it and the underlying system doesn't change. I don't jump in and out of the market over time. Right. So long term, it's a “weighing machine“, as Buffett would say. I didn't have that in mind as I was speaking, but I'm glad you came up with it. You and I know it starts with “in the short term, it's a voting machine”. The purpose of that line is simply to remind people to try to look past the present. That's contrary. That's hard to do. Most people don't do that by nature. Some people are probably incapable of doing it. The reason he reminds us of that is you're going to make better financial decisions if you can gain that ability. Thanks to David Gardner and The Motley Fool for taking the time to speak with me. If you have suggestions for future people you'd like to see interviewed, please let me know. Also, please let me know if you have feedback on the interview itself. I'm still new to them. There are 19 reader responses to "Interview: The Motley Fool’s David Gardner Talks About Stock-Market Investing". He hits on some really good points. To invest successfully, you have to be cautiously optimistic. Optimistic like he said (“capitalism works”), or you won’t be betting on the future, and cautious or you won’t be betting on it for long! And I was just writing about individual investments vs ‘the market’ on my blog as Nothing Is Average earlier today! I would be wary of advising people to buy individual companies. There is a bare minimum amount of knowledge necessary to make informed investment decisions, and it is not insubstantial. People simply buying stocks in companies they like is no different than advocating they put all their money on their favorite number at the roulette wheel. Hi J.D., I like the conversational style of this interview. No need to change it IMO. @Adam … for sane people, there’s a big difference between gambling and investing. We did see, with the rise of day-trading, a significant number of uneducated stock-buyers (I’m not going to call them “investors”) who thought they could play the market like a craps table. That’s not most people, though. The information needed to research a company and its stock price history is all available for free on the web through sites like MSN Money. Most importantly, market data is just data, not opinion, and not advertisement, unlike investment newsletters which are paid to include stock tips. People should start slow, by reading the financial sites like Motley Fool, reading blogs like this one, and learning what the investing process is, before they buy anything. My policy is to buy stock, in companies with a minimum five-year history, which produce services or products that I understand and approve of, at a three to five year stock-price low. And then I hold. I have a thirty-year horizon, so the current state of the Dow doesn’t concern me much. But my portfolio, 100% self chosen and then implemented by my brokers, has held up pretty well since Nov 07. And I’m going to be calling my broker next week to buy more stock with last year’s profit sharing. Buy low – sell high! JD, i really like the conversational tone, the feeling of the back-and-forth: Too many times, i’ve read invterviews that are so dry, with just the subject talking, that i stop reading. Even though this is a dry topic, the back and forth nature keeps me interested. I liked how you brought up the “average investor”, which is what (by definition, i guess) most of us are. Really brining the high-minded topics into the street. One thing i’d like to comment on is the concept of investing as being representative of yourself: This is not normally possible for most of us. Most of us, the majority of our money is in our 401(k), and thus, we are limited in our choices. Wanted to say that i moved a large portion of my 401(k) into index funds after reading your defense of them. Keep up the good work, JD! It is extremely hard to pick winning individual stocks. On the other hand, mutual funds are designed for average investors; as a result, it’s not that hard to pick a mutual fund with moderate rate of return. The information needed to research a company and its stock price history is all available for free on the web through sites like MSN Money. You are right, people have a lot of information at their fingertips. For the most part, finding it isn’t the problem. Knowing how to interpret it is. I think this is a great quote. This is also how I think about stock investing. When you own a stock, you are a part owner of the company. Who wouldn’t want to be a part owner of a great company? It is way easier and less risky than starting and running your own business. On the spectrum of risk, owning individual stocks lies smack dab in the middle of entrepreneurship, and investing in index funds. I think it is somewhat strange how the two extremes are conventionally lauded, while the middle ground is largely booed. P.S. Warren Buffett is 78. I’m not how relevant his current investment strategy is to twenty/thirty somethings of today. (1) We know that an index fund beats actively managed funds (with highly trained “expert stock pickers”) roughly 95% of the time over a 10-20 year period, even before factoring in maintenance fees. (3) We know that the “average” individual has a small and finite amount of time to devote to researching stocks, a limited amount of information, and grossly inadequate finance training (in the technical/analytical sense of “Finance” that you would learn in business school). (4) Investing time in picking individual securities will only make sense when the eventually-purchased securities beat the market or other actively managed funds 51% of the time or greater, once you factor in maintenance costs. Any success rate at 50% or below would essentially be equal to chance…flipping a coin or throwing a dart at a board filled with potential stock picks. Stated in another way: if half of your stock picks did better than the market, and half did worse (in equal proportion with respect to percentage “better” and “worse”), your “skill” in picking between stocks is no better than mere chance. (5) Since highly-trained fund managers beat the market only about 5% of the time, it is highly improbable that a little-trained “average” investor will beat the market more than 50% of the time. Caveat: I realize that “picking stocks” is not a binary choice like flipping a coin (heads v. tails) – there are thousands of securities available. However, “the market” return is essentially an “average” of all the best and worst performing stocks in a given market…a midpoint return with half of the “positive return” above the market average and half of the value or loss below the market average. In this sense it is binary – either above or below market return. Excellent questions, excellent interview. Looks like I have a new book to thumb through. This was a great interview JD – thanks. I agree with the above statement, and I thought David did a good job explaining how working with individual stocks work if you have the right motivation in picking the individual stocks that you do. I also appreciate the question you asked early on regarding mutual funds. This was a great, balanced interview. Hey, I read the MF way back when it was all free on AOL after I saw one of the brothers present at the Press Club! My eye was caught by the silly hats he wore then (do they still wear those?) and I listened enough to find them on the web (as limited as it was at the time). Their basic advice on budget and debt got me enough knowledge to end my debt! 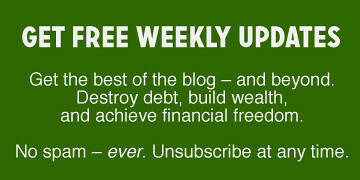 Their site (when free) allowed me to pick up basic info on investing and such while I was paying off my debt. I stopped reading them when they switched to a pay site but am glad to see that they are still around. Fun to see one intereviewed on a money blog! Thanks for posting it. Great plug for Zecco. I love the brokerage. It’s not the best out there, but the price certainly is. And it doesn’t have all the greatest tools that other brokerages have, but when you only have $5000 to invest, you don’t need all the greatest tools. Also, I disagree with the statement that you can’t beat the market. While there are many reasons, there are two primary reasons that stand out the most. 1. First, because index funds are not actively managed, they can’t take into account obvious changes in the marketplace. For instance, anyone who paid any attention at all to the economy in 2006 and 2007 would have known that the housing market would crash, and thus adversely affect the rest of the market (although maybe not to the extent that it has). Several people I know forsaw this and completely withdrew their money from the market into cash. Then, when everyone else lost ~40% is the resulting crash, these people stayed strong, and now that the market is reaching the bottom, they are getting back in. Meanwhile, everyone invested in index funds has lost ~40% of their retirement savings. 2. The second reason I believe you can beat the market is that if you are managing your retirement savings of (right now) $200K, it’s easy to take advantage of great opportunities. Let’s say that you find an investment that will likely double in the next year. You take $20K (10% of your capital) and invest in this opportunity, leaving the other 90% for other opportunities. One year later, you’ve come out quite a bit ahead of the overall market. However, now let’s say you are a fund manager managing a $5 billion fund. The opportunities for doubling your money are much scarcer. Perhaps the entire market cap of the company you found in the first example is only $10 million. Your $5 billion would easily overwhelm the entire market cap for that company. There are only so many places you can invest that $5 billion. Warren Buffet himself admits this, and he has stated that his company will not see the same returns in the future as it has seen in the past, because it is simply too big. There are only so many great investment possibilities in the world, and Berkshire easily overwhelms many of these. So these two things are the main reasons why I am more than convinced that it is possible for most personal investers (like you and me) to beat the market, as long as you are willing to do some research. At this time I only have about $2000 left on my 2008 Roth IRA contribution left. I have never bought individual stocks before but there is one in particular that I have always wanted to get in on and it is selling quite a bit lower and I am ready to put in $2k on it. What is the best way to go about this? Share builder or Zecco. At first glance Sharebuilder looks a little easier to set up and get going. Great interview. I am a member of their Hidden Gems service and although it is not fairing too well right now, I do believe in their philosophy and that helps me sleep at night knowing I have companies that are healthy to survive the economic downturn. For those who care, I believe you need to maintain a minimum balance of $2500 before you can enjoy their 10 free trades per month offer. Sharebuilder is $4 per trade if you don’t mind them doing bulk buys once per week. Real-time trades are $10 per trade I think. For those who don’t know yet, Zecco announced at the end of January, 2009 that they’re changing their policies such that you need to maintain a portfolio size of $25,000 or make 25 trades / month in order to qualify for the 10 free trades as of March 1, 2009. I’ve written about both of these on my blog as I’ve been struggling with figuring out how to efficiently invest a new, separate, small portfolio. It’s definitely a learning process! True. I was disappointed to see that Zecco was doing this. However, Zecco still is one of the cheapest brokerages you can find — only $4.50/trade. And with most options strategies for private investors, Zecco is the cheapest brokerage for trading options. Only if you trade more than 10 options at a time can you find a cheaper brokerage elsewhere.